Fire damage claim help - Public Adjusters fighting for you! 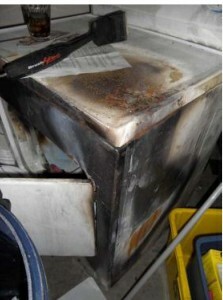 Are you currently dealing with a Fire Damage Claim? If you have suffered fire damage to your property, we understand how difficult it can be to get your life back to normal. All claims present their own set of issues, however fire damage claims are by all means the most complex as they almost always involve personal property or business property aside from the building damages. 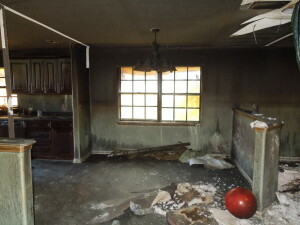 In the past, upon filing of a fire damage claim, the insurance company would dispatch an adjuster and an Emergency Services Company to do the proper cleaning within the first 48 hours, however the times have changed and now most insurance companies will often times make you wait upwards of 60-90 days before paying anything and allowing you to begin repairs. Unfortunately, there was a reason to do the immediate cleaning and it was due to the extreme acidity in the soot that is now all over the property causing extensive damage. When evaluating the damages caused by a fire, the damages and contamination is not always easy to see and/or treat effectively and to the untrained eye, you could easily miss much of the damages. Is it to your benefit to have an experienced fire damage claim professional in your corner? You have to consider 5-10 years down the road, will the smell reemerge and are there any remaining contaminants that could be harmful to you and your family? When you go to sell your home, will the home inspector stumble upon some remaining damages that were either hidden or not properly addressed? We understand that your home is your sacred place to spend with your friends and family as well as being one of if not the largest investment you will make. We take great care to inspect all of the aspects of your damage and create a thorough report with the assistance of estimators, contractors, contents specialists, to specify what will be needed in order to get you and your family or business back into the property. We view Fire Damage Claim as our single highest priority as we understand the devastation that comes along with a fire and we do everything in our power to relieve you of the aggravation you are likely to encounter when handling a large loss on your own. As Licensed Public Adjusters we can be instrumental in the Fire Damage Claim Process. We truly strive to get your claim resolved as fast as possible while ensuring that you are paid fully and properly for all of your covered losses. We arrive on-scene fast, assess the damage and begin the process of maximum recovery immediately. Time and experience are crucial in evaluating fire damage. Claim Concepts Public Adjusters are experienced in detecting and identifying damages, the proper construction methods needed to get the property back to it’s pre-loss state and the proper use of estimating tools commonly utilized by insurance companies. Utilizing these skills and understanding of the claims process we know how to navigate your claim to a full and proper final settlement. Our job at Claim Concepts it to help people like you. Our passion and expertise is to put an accurate dollar value on your loss and relentlessly fight to recover it from your insurance company. We don’t work for the insurance company, we work directly for you with ONLY your interests in mind…let us fight for you! Your insurance company employs an adjuster to work on its behalf. These adjusters are paid and trained by your insurance company, do they have your best interest in mind? Insurance companies do not make any money paying claims, actually, the claims division is most likely their largest expense and therefore the easiest place for them to increase their bottom line. As your Public Adjuster I can assure you that we do have your best interests at heart and you will see it by the way we will fight for you. Free Fire Damage Claim Consultation! We are State licensed Public Insurance Adjusters. Greg Roover, the owner of Claim Concepts brings experience working on both sides of the fence, being trained by the Big Insurance Companies he knows how they work, think and act. His experience working on both sides has helped many property owners achieve the claim settlement that they deserved. You probably have enough to deal with right now. Our job includes the preparation of building damage estimates, contents inventory lists and documenting your other losses. We handle all the tedious tasks of compiling, filing and settling claims.